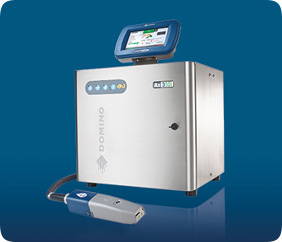 The Ax-series is a plug and play low cost printing solution for the postal sector. The i-Pulse print heads are designed to be robust and reliable in your toughest environment. New technology ensures the print head starts up first time every time and maintenance is effortless. The Ax-Series is simple to use, with an operator-friendly and intuitive, user interface. This service free and low maintenance printing solution guarantees low cost of ownership and is backwards compatible with legacy systems. Please click here to learn more from the Domino website.